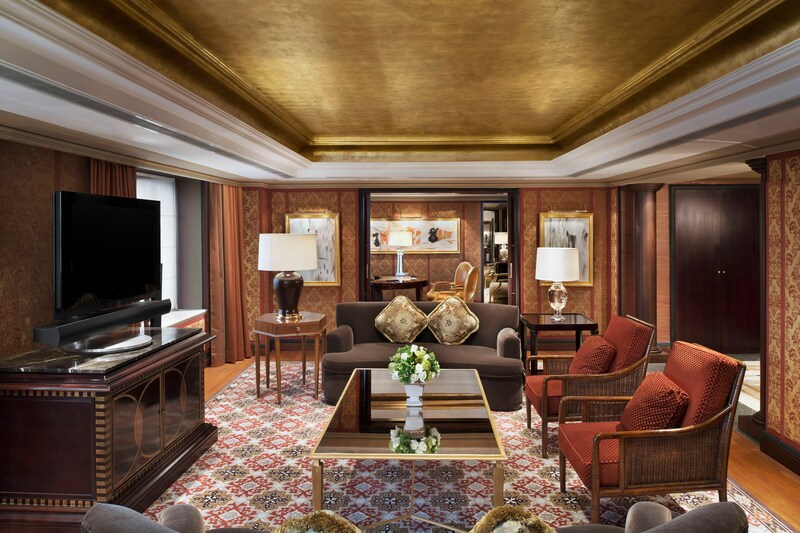 All 258 guest rooms and suites are designed in an elite residential style, providing guests with comfort, convenience, and advanced technology. Your private St. Regis Butler stands ready to fulfill your every need so your experience will flawlessly surpass expectations. 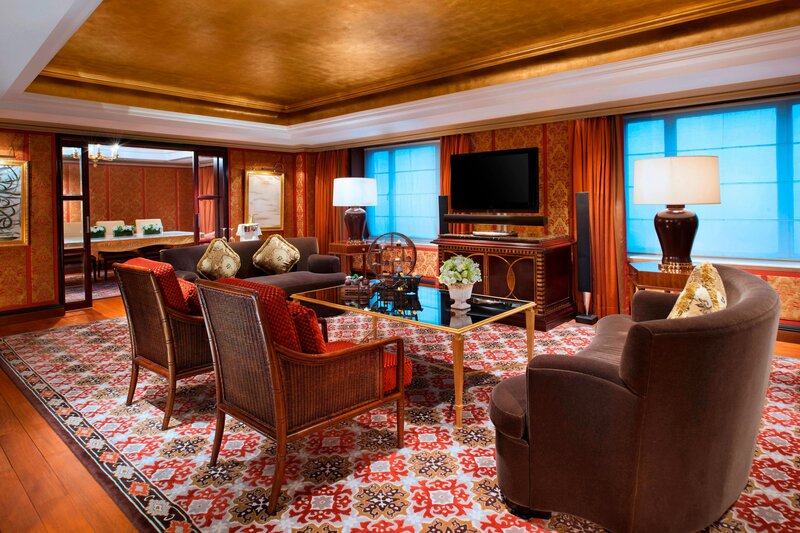 The Presidential Suite is the hotel’s largest and most lavishly appointed. It features a rich color scheme, our signature king bed, and beautiful furnishings throughout. 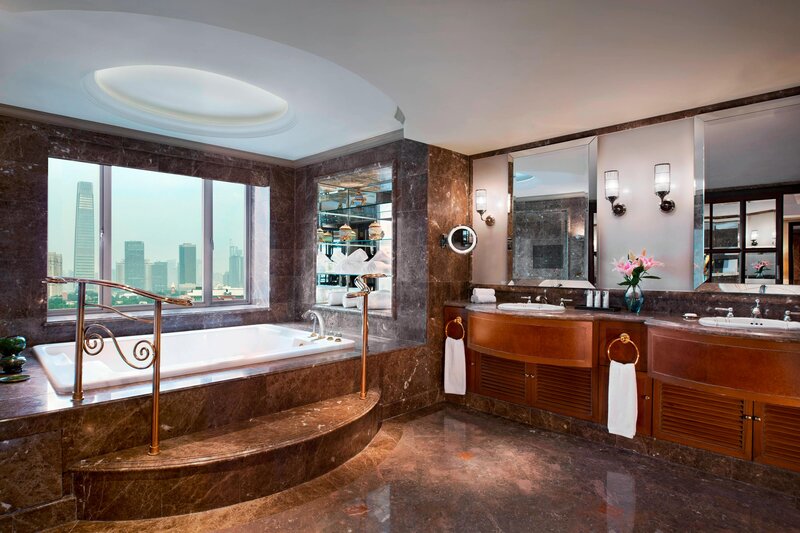 Standard internet access is available to all guests at all St. Regis Hotels and Resorts. We also offer shoe shine service and in-room dining.